150 free Weleda shampoo & body wash for kids | FreebieFinder UK | Freebies, Samples, & Other Free Stuff. 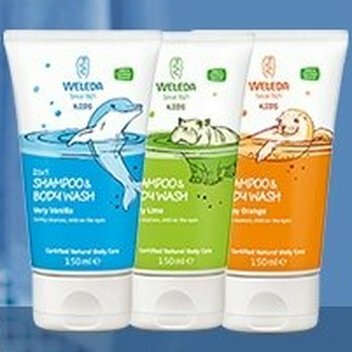 In this My Green Pod giveaway 150 winners will receive a Weleda Very Vanilla Kids’ Shampoo & Bodywash. This gentle product is dermatologically tested and the soft, sudsy lather is proven skin-friendly and also kind to eyes. This was posted 7 months ago 10th September 2018 and expired 6 months ago 8th October 2018. Provide your details in the entry form for the chance to be among the 150 lucky winners.